Ever since I can remember, I've always enjoyed helping others. Growing up I always knew I wanted to find a profession that would allow me to have a positive impact on my community and effect change in a positive way. As someone who has dealt with being siteless all of my life, I understand being in a position of needing help from time to time. I also understand the impact it can have when someone selflessly offers their time and efforts to help you better yourself. Ultimately, that's what led to me pursuing a career in the legal profession. I also knew that my blindness wouldn't prevent me from being able to do my job, but would instead allow me to empathize with those in need and offer my help and support. My journey into the legal profession began back in 1978 when I graduated from the University of Missouri, Columbia School of Law. After passing the Missouri state bar that same year, I knew almost immediately that in order to best serve my clients, I would have to start my own firm. So I gathered what little money I had after law school and opened the doors to the Michael W. Hanna Law Office in 1979. 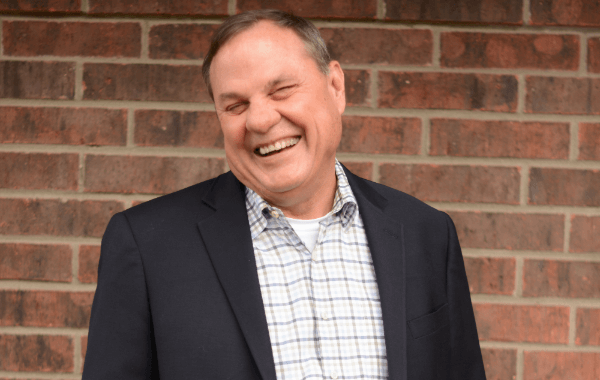 After nearly 40 years, I've been able to grow my practice into one of the most reliable and successful law firms in Western Missouri. During that time I've worked both as an independent attorney and as a municipal judge, picking up extensive knowledge and experience that I try to use to my clients' advantage to help them succeed. I’ve always had a desire to help those in need, and I’m lucky to have a job that allows me to do that on a daily basis. I originally set out to become an attorney because I felt like it would provide me with the opportunity to help those who need it most. One of the biggest advantages of running my own firm means that I have the ability to personally manage my caseload and provide all of my clients with the personalized, one-on-one attention that they deserve. With a focus on family law and criminal defense, I've had the opportunity to help countless clients through a wide variety of legal issues, both big and small. From child custody battles and complex divorce cases to misdemeanor drug cases and serious felony charges — and everything in between. I initially set out to focus on family law and criminal defense because of the impact that that these case types can have on a person when they don't have adequate legal help and support. Facing a criminal charge or a complex family issue can be one of the most difficult things to get through, especially if you don't have the legal support you need. That's why for over four decades I've been working with individuals and families across Jackson County, Missouri to provide the very best in legal counsel and representation so I can help my clients put their legal issues behind them and help them move forward with their life. Whatever the challenge, I can help. At the end of the day, I'm committed to doing whatever I can to make sure the needs of my clients are taken care of at every turn. I will work tirelessly to defend your rights, and I always make myself available to answer any questions or concerns that you may have along the way. I aim to not only provide a solution to all your legal needs, but to also provide a sense of relief and peace of mind throughout the entire process. Whether you need trusted legal representation, or simply a legal expert to provide guidance — I'm happy to help you in any way that I can.